Everyone deserves an advocate who listens, communicates and simplifies financial decisions making so that they can reach their long term financial goals, and protect the most important people in their lives and their business. In working with a team of Specialists at Northeast Planning Corporation, we create financial strategies that are grounded in mutual understanding of each clients’ unique goals, dreams and concerns. Michael is a graduate of Flagler College with a degree in Business Administration and Finance. 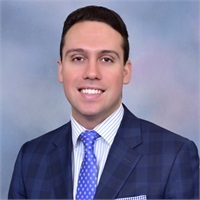 Michael is a motivated entrepreneur who has worked in the financial industry all throughout his post college years gaining knowledge and insight from companies such as AIG and Merrill Lynch Wealth Advisors. Michael specializes in wealth building and protection strategies for individuals, families, and business owners. He enjoys traveling, playing soccer, spending time with his family and friends, and networking with like-minded professionals.